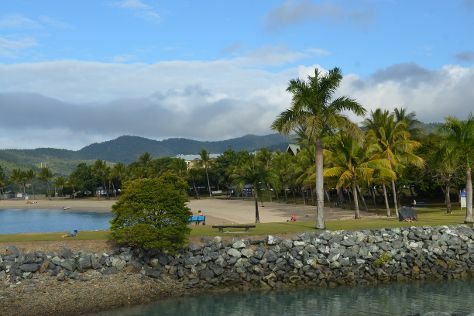 Very much a town with an emphasis on the tropical lifestyle, Airlie Beach offers exotic surroundings with palm trees and charming, sandy beaches. This town of approximately 8,000 lies a short trip away from the spectacular Whitsunday Islands. Often used as a starting point for exploration of the Great Barrier Reef, the friendly, down-to-earth charisma of Airlie Beach holds plenty of attraction in itself. Airlie Beach is in Queensland. Plan my day in Australia using traveler tips and tourist information provided by Inspirock.